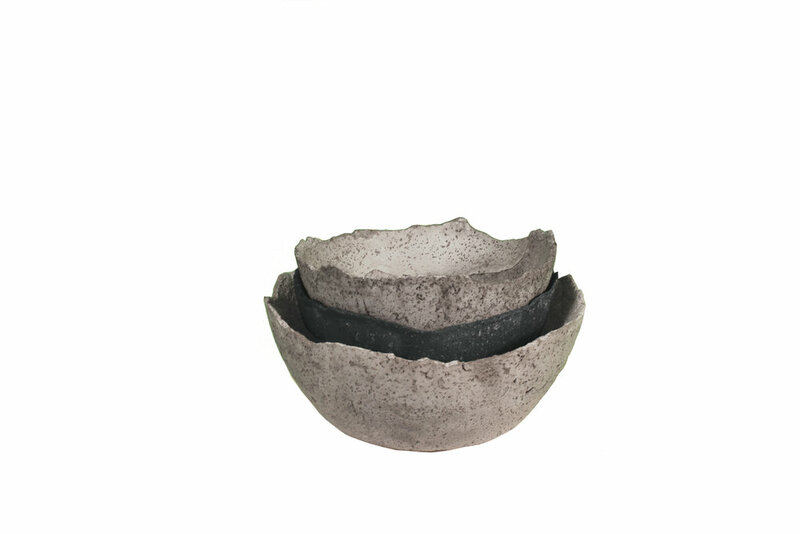 These delicate concrete bowls inspired by our popular AYÊ lamp make the perfect centerpiece for your coffee table or dining room table. * Our bowls, trays and tables are waterproof, food-safe and UV-protected. However, please note that concrete, much like granite and marble, is a very porous material. Cement and concrete will stain if they come into contact with acidic substances such as coffee, lemon juice, mustard or vinegar. Wash with dish soap immediately to avoid permanent staining.